I had a weekend in Belfast with a group of girls a couple of weeks ago. I could tell they wanted to scald me, as I popped from one shop to another checking out the make up. One place I kept going back to was Debenhams, as they have an Illamasqua counter. I have never been to one before - no chances to play, no chances to look at all the pretty colours. What I had originally gone for was to look at the Skin Base foundation. I fell in love - such a gorgeous finish, I loved that I didn't look white in photos because of the SPF0, it felt light on my skin, had good coverage.... I'd gone in on the Saturday to try it on and see how it went throughout the day. Popped back to get a sample for later that evening. Popped back again Sunday to purchase it - they didn't have my colour! Took away another sample, intending to buy it once I got home... yet when I tried it with my normal, everday life, it just doesn't work. It didn't stay on past mid day, and despite using a powder over the top of it, it was really shiny on me. Boo. Anyway, because of all the to-ing and fro-ing to the counter, each time I was there I just had to buy something else. I got the Highlighter Brush - which is AMAZING for applying foundation, a lipstick, lipgloss and a blusher. Today I'm going to tell you about the lipstick, the rest will follow over the next few weeks. 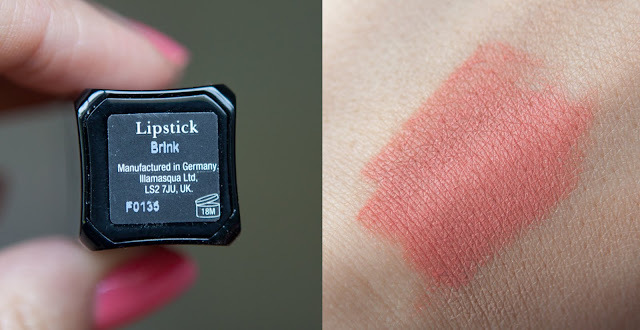 This lipstick is 'Brink'. I was a bit disappointed when I opened my lipstick at home, as it had somehow come out of the bottom holder part, and was stuck in the lid (hence the squared off top)! I managed to get it out and stick it back where it should be, but that's not really what I expect from a lipstick I paid £15 for. It hasn't come out since thankfully. It is a very pale coraley peach colour, which is matt in finish. I'm not overly keen on the matt-ness, I found it pulls at my lips when applying it, and is quite drying, so have been using lip balm before putting Brink on. If you have any dry patches on your lips, Brink will not be looking pretty - so a bit of exfoliation and balm is key. Ergh, I hate pics of lips on their own - they look weird don't you think?! It is a lovely soft shade, kind of like peaches and cream in a lipstick, which I think is a good way to ease yourself in to experimenting with this seasons brights. It seems to last for a really long time on the lips which is always a winner in my book. Because it's so matt and dry, I think it would also work as a cheek colour if you felt that way inclined! I am glad I bought it, as it's a colour unlike any I have, but I think it will take some getting used to on how to make it work best for me. 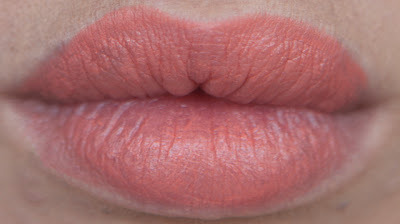 What do you think of this lippie? 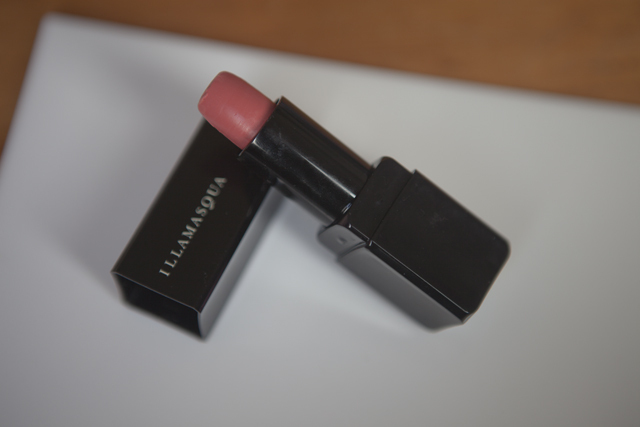 Do you have any Illamasqua lipsticks and what would you recommend? This is a lovely colour! Ah such a lovely colour! Maybe try mixing it with a clear lipbalm:)? The lipstick looks awesome. I've given you a blog award!! What an absolutely lovely color! 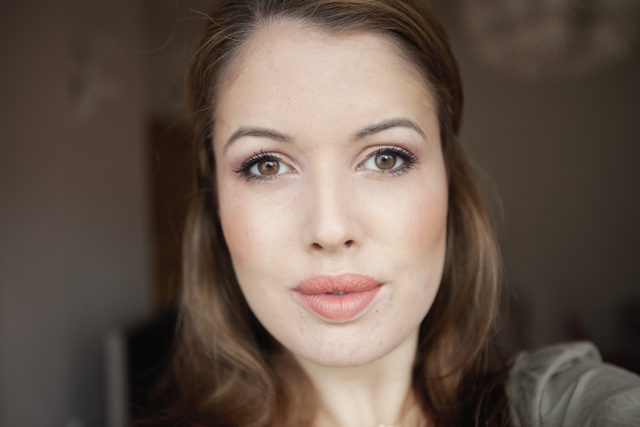 I don't own any Illamasqua products so I'm looking forward to all of your future reviews! I wasn't too keen on the matte-ness of their lipsticks either. They have some lovely colours though and Brink is a beautiul shade on you!